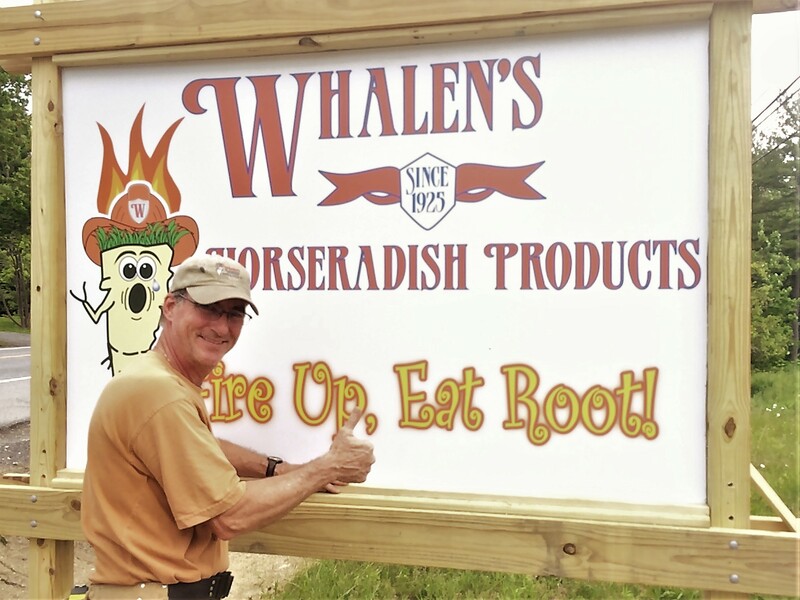 Whalen’s Horseradish Products was started in 1925 by Frank Whalen in Ballston Spa, NY. Back in the day distribution was to-your-door, delivered by horse and wagon ladled directly into your steel dispenser in your milk box. Through the years, Whalen’s has evolved but has remained true to its roots. Whalen’s offers a wide variety of products available through local retailers, online and at our kitchen outlet store in Galway, NY. Look for us at festivals and food shows in upstate New York and the surrounding area. Whalen’s Root Cellar features our full line of products at discounted outlet prices. We also carry other local handcrafted food items and gift items. 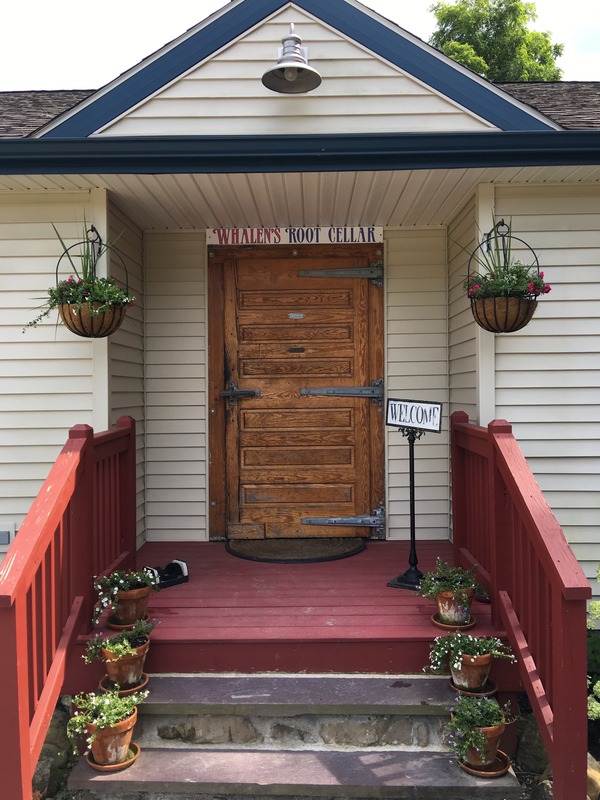 The Root Cellar’s front door is a vintage cooler door which was the inspiration for the naming of the store. It’s a signature greeting to you. Come try our signature taste. We’re always serving samples. Whalen’s has always been a family business. Tim “Rootman” Bibens is the current owner who purchased the business from his first cousin “Radish” Dan Bell. Tim relocated the business down the road to his and Dan’s mother’s home town of Galway (they were sisters and best friends) thus being true to their roots. Tim is honored to carry on the traditions of those before him. Tim’s professional background is in quality, design and manufacturing services in highly regulated industries. Most auditors leave Whalens’s with a smile on their face and a tear in their eye.